Peter Gitau prides himself in being a strong advocate for students and models an intentional partnership between academics and student affairs. He is committed to a converging in-class and out-of-class programs and activities to create holistic learning, growth and development. With more than 15 years of experience in executive higher education management, Gitau has served as the vice president for student affairs at Northern Kentucky University and associate vice chancellor and dean of students at Southern Illinois University Carbondale. Born and brought up in a rural village in Kenya, Dr. Gitau received a bachelor’s degree in secondary education from Kenyatta University in Nairobi. 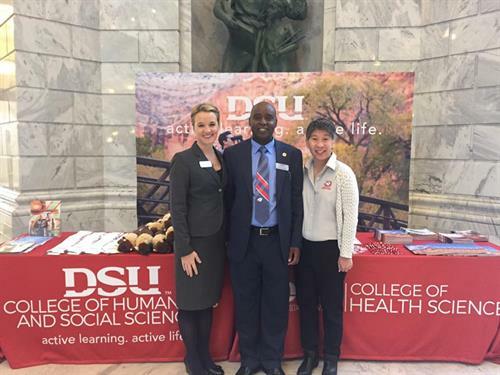 After coming to the United States as an international student, he earned a master’s degree in educational administration from Eastern Illinois University and a Ph.D. in higher education administration from the University of Kansas.